Tap the Camera icon on the Terminal pane for a location. The weather camera icons are colour coded based on the weather at the associated METAR reporting station (when there is one). The default colour, dark grey, is used when the official weather at the location is unknown. Tap on an icon to view the cameras. When multiple are available they can be selected using the controls at the top right of the window. If you have a location with a weather camera, let us know and we can add support inside the app. Weather camera images are not an official pre flight weather briefing product and should be used for situational awareness only. 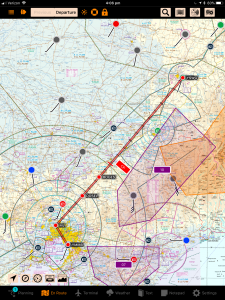 AvPlan EFB 7.7 extends our exclusive support for the new flight planning products introduced in November 2017 with geo-referenced low level GPWT charts. 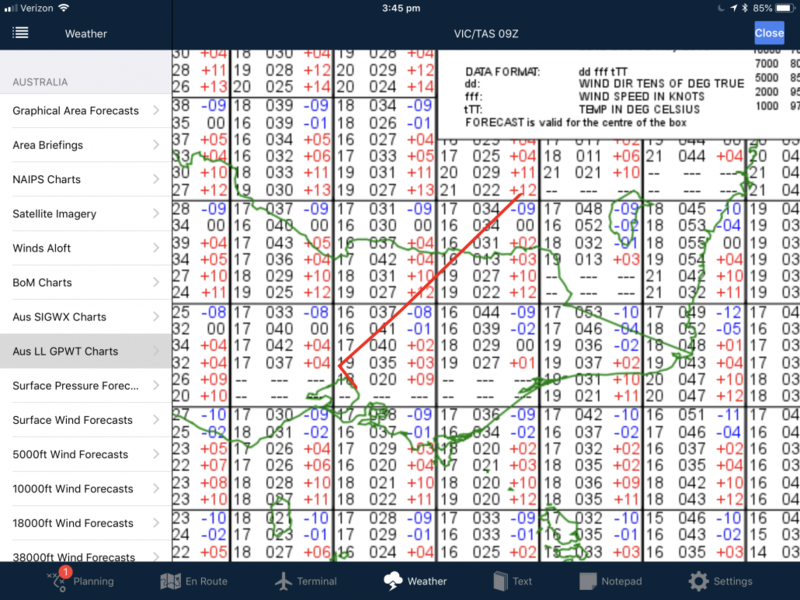 These charts, available on the Weather pane now also show you your flight planned track. 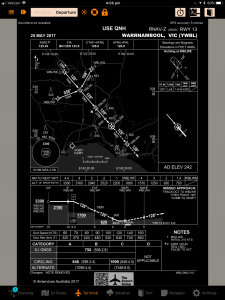 This will greatly assist those using these charts for pre-flight planning purposes. 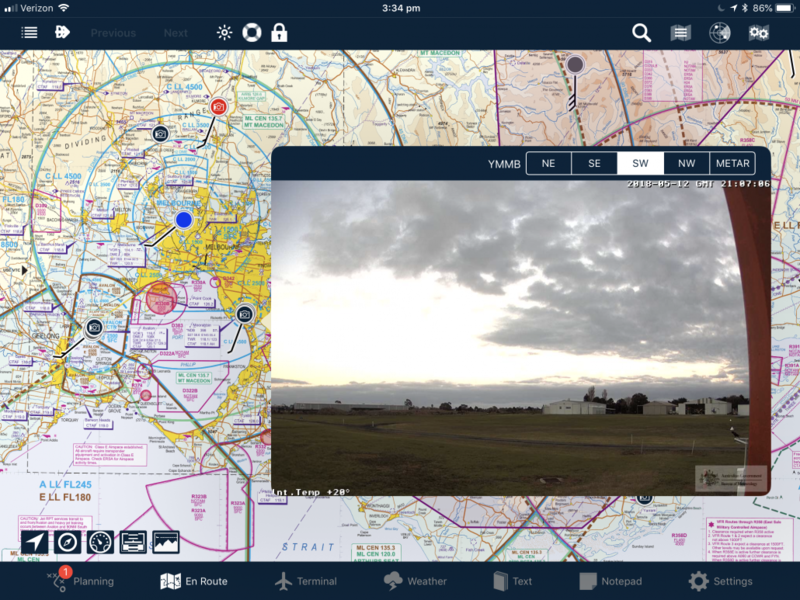 AvPlan EFB 7.7 introduces a completely new interface for submitting flight plans in Australia. We have added a complete ICAO flight plan form where most entries can be altered in one place. Where applicable, changes are propagated back to the flight plan or aircraft profile as appropriate (and saved for later use). 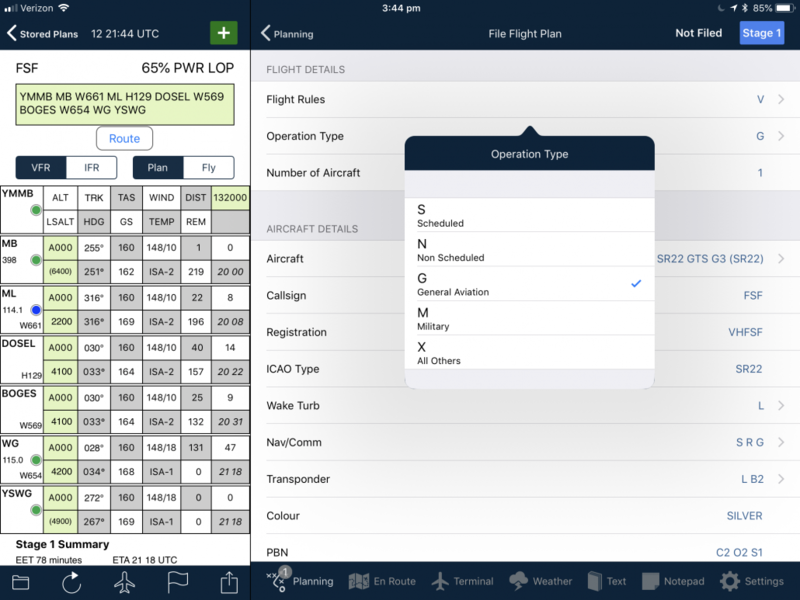 Different flight plan stages can be changed in the form – tap the Stage button at the top right to change the stage. Once complete, tap Submit at the bottom to file your flight plan. Entries are also validated to ensure that they are in the various formats that NAIPS expects. 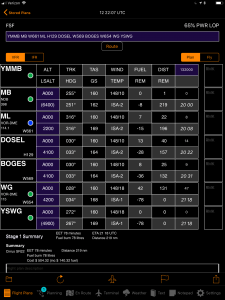 This will make submitting a flight plan with AvPlan EFB even easier than ever before. 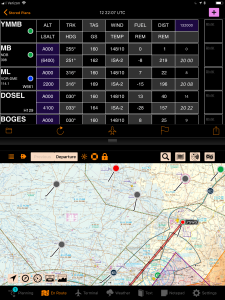 We have made extensive tuning within AvPlan EFB to make it compatible with the iPad ‘Smart Invert Colour’ mode. This is ideal for night operations where most text colours are inverted. Items where the colours are important (VFR maps, METAR icons, Synthetic Vision etc) remain their normal colour however. To enable Smart Invert Colours, open the Settings app and tap General, Accessibility, Display Accomodations, Invert Colours, Smart Invert. You can also change the iPad settings to enable a triple click of the home button to toggle this display mode on and off (and this is a great idea to do). To do this, open the Settings app and tap General, Accessibility, Accessibility Shortcut. Make sure Smart Invert Colours is enabled. 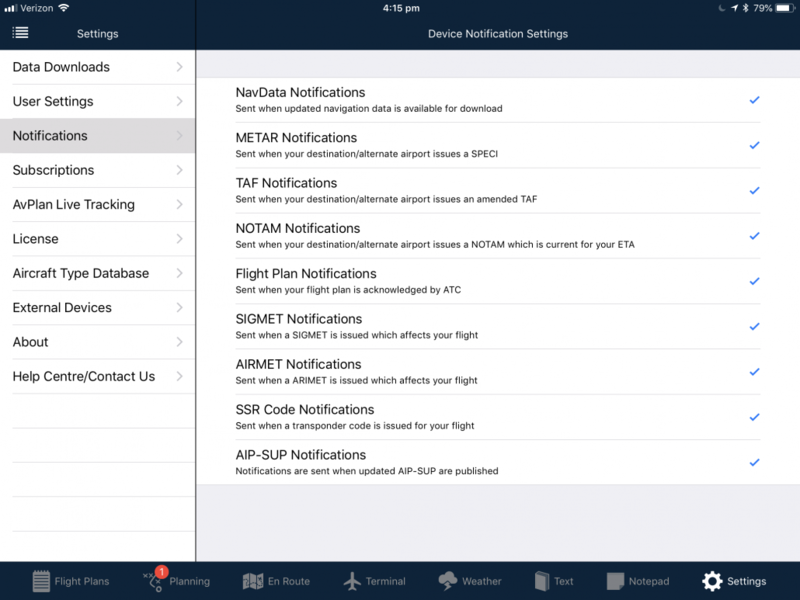 App notifications in AvPlan EFB 7.7 can now be user-customised. Select which types of notifications you wish to receive (the default is they are all on).